21032B: Camaro (RS Package) Phantom Billet Grille Overlay All Black. Personalize your new Camaro with this custom phantom billet grille. This phantom billet grille comes complete and ready to install. Made from solid billet aluminum, it comes finished in all powder coated black. Bolts directly into existing OE factory grille for easy installation. Chevy emblem must be removed but can be re-used if desired. Includes instructions and all necessary hardware. Installation time is about 1/2hr and can be done with regular home tools. Matching bumper billet grille is also available above as an additional item. Backed by manufacturers five year warranty. Made in USA. 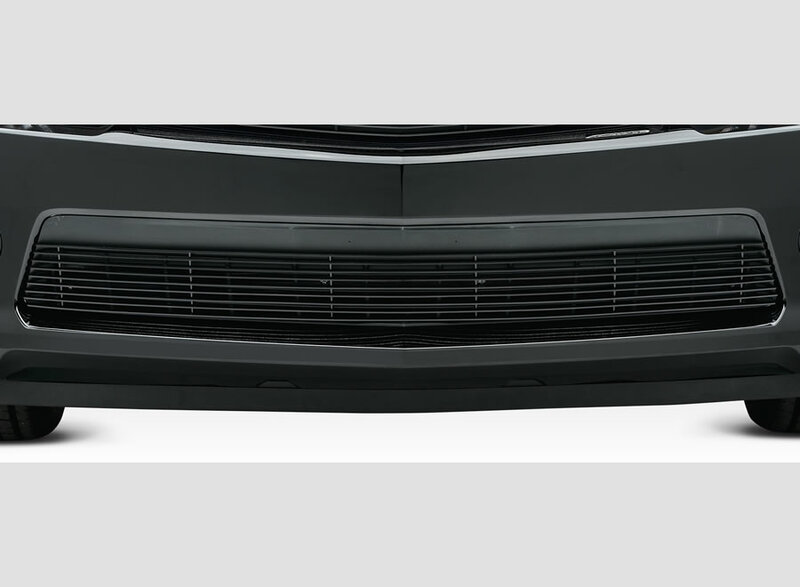 Tell your friends about the 14-15 Chevy Camaro Phantom Billet Grille (Overlay) Black. Share this product on Facebook, Twitter, MySpace or send an email to a friend!